See the online brochure here. You can have up to 3 phone numbers directed to the phone(s), fax, answering machine, modem or any device(s) you designate with Multi-Link's SR-3 Distinctive Ring Call Processor. Once installed on your home or office telephone line, the SR-3 Call Processor listens to incoming calls to determine ring patterns. The SR-3 is great for separating business from personal calls, fax from voice calls, TDD from voice calls, etc...It can turn your answering machine into a distinctive ring answering machine. Your fax number rings the fax, your voice number rings your phones, etc...on a SINGLE phone line. 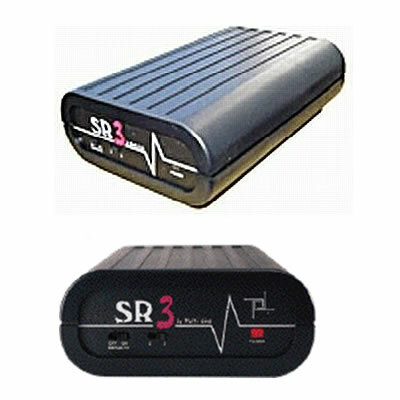 The SR-3 is designed for any of the distinctive ring services offered by most phone companies. The SR-3 offers selectable barge-in protection function with a high quality busy signal so you know that the line is in use. All SR products feature the Smartware embedded software that learns your phone company's specific distinctive ring patterns so they are always 100% accurate and dependable. 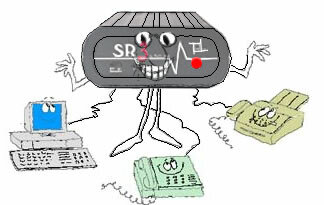 It is as if each of your 3 phone devices has it's own dedicated telephone line ....without the dedicated line cost! Save hundreds of dollars a year in phone bills, without sacrificing privacy and efficiency with the SR-3 Distinctive call processor. The SR-3 is made in the USA. Click here to check out the new FAXJ-1000 Distinctive Ring and Tone Detection Switch.